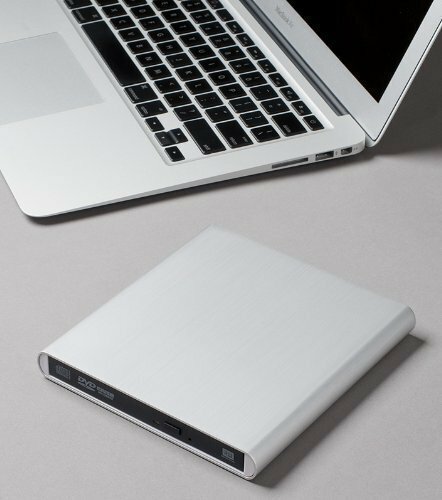 With the optical drive being removed from laptops in order to achieve a more portable design, external DVD drives have become increasingly popular over the past few years. Because there are so many options on the market, our team has performed extensive research on external DVD drives in order to bring you this list of our top choices. Key features that we considered were portability or power, and Blu-ray capabilities so that we can help find the best drive to suit your needs. Read more about our methodology. This drive features Blu-ray read/write capabilities, an attractive and portable design, and impressive speeds that provide smooth video playback. It is ideal for virtually any setup and can perform just as well on-the-go. While this drive is unable to read or write Blu-ray discs, it excels with all other disc formats. Its multi compatibility and Silent Play features make this drive perfect for watching movies at home, and its slim design lets you take it with you on the road. The Archagon Blu-ray drive is extremely affordable when compared to other Blu-ray devices. Its slim design and USB powered interface makes this drive great for watching high definition movies at home or on-the-go. It has earned our top pick for best value since it is one of the most inexpensive Blu-ray drives on the market. Its slim and portable design coupled with super multi-compatibility, this DVD drive is perfect for any laptop that doesn’t have one. With common features and a simple setup, this drive provides everything that you need at a great price point. The ASUS ZenDrive U7M is an ultra-slim DVD drive that comes included with an impressive amount of features. 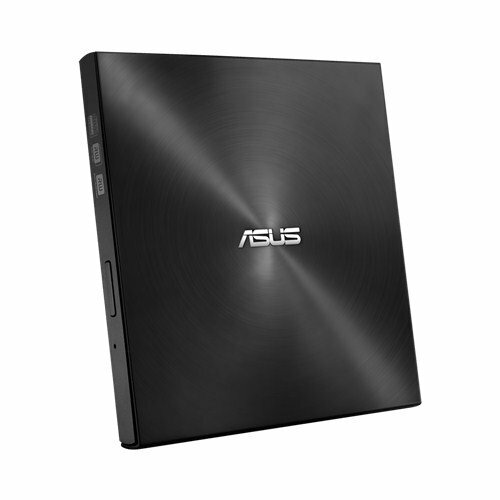 With its bundled software and efficient writing speeds, ASUS has provided a DVD drive that is an excellent addition to any laptop. With Blu-ray read/write capabilities and compatibility with many other formats, the SEA Tech external Blu-ray drive is perfect for use with laptops. It features an attractive and durable aluminum exterior that even furthers its portability. The ASUS BW-12D1S-U is a powerful and attractive Blu-ray drive that makes for an amazing addition to any desktop setup. Its writing speed for Blu-ray formats is one of the fastest on the market, and the included software makes this product difficult to compete with. 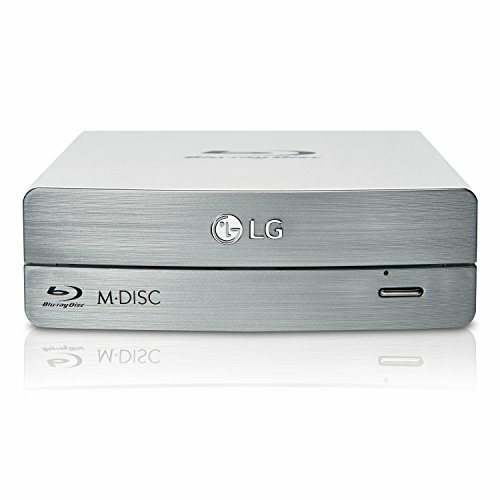 LG has provided an affordable yet powerful DVD drive that is perfect for desktop setups with their GE24NU40. This device is capable of reaching 24x DVD-R write speeds, and is runner up to our first choice only because it lacks Blu-ray capabilities. The LG BE16NU50 is a Blu-ray drive that holds performance power above all other qualities. With 3D Blu-ray support and compatibility with nearly every disc format, this product is one of the most versatile drives on the market. 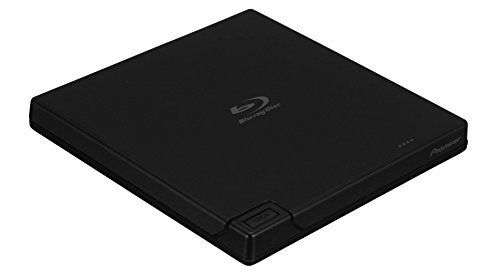 If you are in the market for a Blu-ray drive that is compact and portable, this drive is an excellent option. 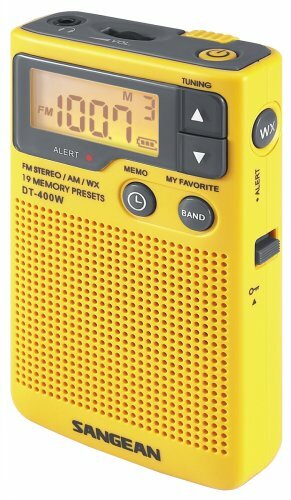 With fast reading and writing speeds and features like Pioneer PowerRead and Auto Quiet, this product proves to be a great mix of power and portability. First, you will need to consider how exactly you will be using your external DVD drive. If you travel a lot or plan to use your drive on-the-go, a more portable option is likely what you should be looking for. These often come in slim yet durable designs, and are USB powered meaning that they will require no additional power supply. However, if you simply want to enjoy movies or burn discs at home, a stationary desktop drive would be ideal. These drives benefit from having their own power source, allowing for higher performance capabilities overall. Reading and writing speeds will determine how quickly your drive will be able to perform. A drive that can only achieve 6x writing speed will take much longer to burn a disc than one that is capable of 16x speeds. These speeds will differ according to which disc format you are using. For those who plan to use their DVD drive in order to archive a large amount of data onto discs, a higher write speed will greatly benefit their efficiency. If you have no intention of burning discs at all, you can probably get away with a drive that reads and writes at lower speeds. While most external drives are compatible with both Windows and Mac operating systems, it is important to make sure that a drive will be compatible with your system. Also, some drives will not be able to read or write certain disc formats. Most DVD drives will function properly with the majority of DVD-R and CD-R discs, but you will need a Blu-ray drive in order to work with Blu-ray formats. Other notable formats to consider are M-DISC and BDXL. M-DISC is the longest-lasting disc format that is currently available, and BDXL has the most storage capacity. You will find most budget DVD drives for under $30. These drives will read and write DVDs at lower speeds than the more expensive models, and may not be compatible with certain formats. The majority of Blu-ray drives fall between the range of $70-$200, so if you require Blu-ray compatibility that is something to keep in mind. The Pioneer BDR-XU03 is truly an incredible Blu-ray drive. With 6x Blu-ray writing speeds and a USB 3.0 interface, this drive greatly reduces the time it takes to burn discs. Compatibility with nearly every format including BDXL allows for a great deal of versatility, and lets you burn up to 128GB per disc. Pioneer has packed some very useful features like PowerRead and Auto Quiet that result in a much smoother experience while using this drive. Smooth movie playback. One of the most highly praised qualities of this drive is how smooth it is while playing movies. Thanks to Pioneer’s PowerRead and Auto Quiet features, this drive is able to read damaged or dirty discs and adjust its playback speeds to reduce noise. Many reviewers mention that they have hardly ever experienced skipping during a movie with this drive. USB 3.0 interface and 6x speed. Thanks to its USB 3.0 connectivity, this device will perform much faster and more smoothly than those with USB 2.0. It is capable of 6x writing speed on Blu-ray discs which is very impressive considering it is USB powered and incredibly thin. Multi-functional capabilities. Nearly every disc format available is compatible with this drive. This includes the BDXL Blu-ray disc that allows you to store up to 128GB of data, and with its 6x writing speed you can archive your data rather quickly. Magnesium body and narrow design. This drive is very durable, featuring an attractive brushed magnesium exterior that is just half an inch thick. This makes the device perfect for use while traveling with a laptop. However, the included stand allows for horizontal or vertical orientation, making it great for at-home use as well. Many reviewers note that the slot-loading disc mechanism really makes this drive feel as though it takes up no room at all. Short USB cable. The included USB cable that Pioneer provides with this drive is only 15 inches long. While this may be enough for some, if you are working over a larger space you may need to acquire a longer cable separately. The LG GP65NS60 is one of the best external DVD drives on the market. With its LG Super Multi Compatibility and Silent Play features, this drive can read and write nearly every disc format and performs very quietly. This makes the drive great for data archival and video playback uses. Also, there is no need for a PC or laptop, as this drive can even be connected directly to smart TVs via USB cable. 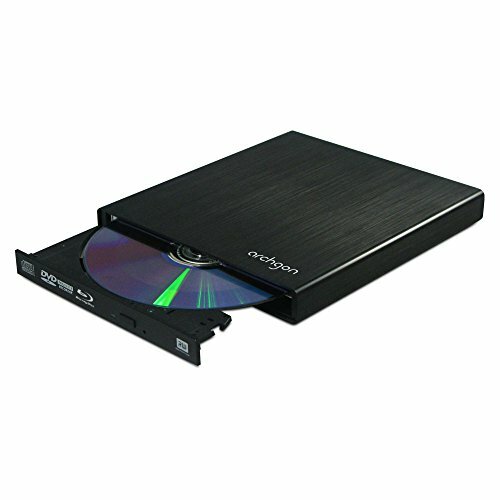 Overall, this product provides a great amount of versatility in a DVD drive while remaining quite affordable. Perfect for laptops. With its slim profile and USB powered interface, this drive is perfect for laptops. It is compatible with both Windows and Mac operating systems, ensuring that it will work with nearly all laptop models. With the optical drive being removed from many ultra-thin laptops recently, many reviewers found this drive to be an essential addition. 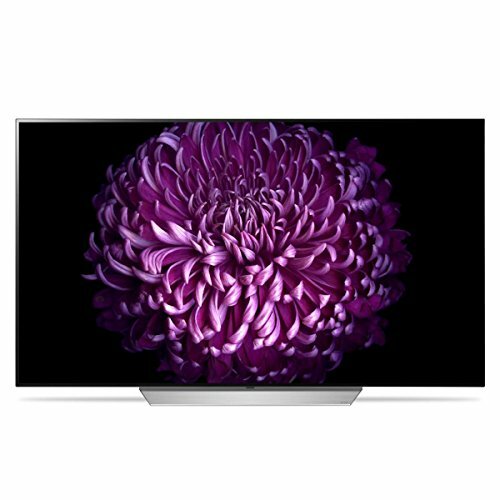 LG Super Multi Compatibility. 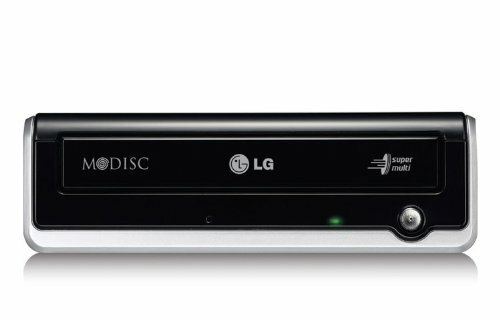 With LG Super Multi Compatibility optical drives, you can read and write a variety of disc formats in one convenient package. This includes the M-DISC, which is a format that many drives are not compatible with. M-DISC compatibility makes this drive great for saving your documents, ensuring that they will last for a lifetime. Silent Play is great for watching movies. LG Silent Play is a feature that allows this drive to recognize the format of a disc, and adjust its speeds accordingly. This will greatly reduce noise and performance loads, allowing for a more smooth and quiet viewing experience. Direct connectivity with TV. This drive is able to be directly connected to any smart TV via USB cable. 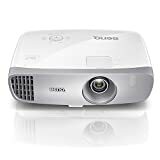 There is no need for a PC, making this a great device for watching movies at home. A handful of reviewers purchased this drive to simply use with their digital photo frames, and note that it works perfectly. USB 2.0 interface limits its efficiency. Though this drive is compatible with USB 3.0, its USB 2.0 interface will limit its transfer speeds even when plugged into a USB 3.0 slot. A few reviewers note that a USB 3.0 interface would be nice, but the difference is hardly noticeable. If you are looking for a Blu-ray drive that will let you watch all of your high definition movies and have no need for any other bells and whistles, the Archagon Blu-ray combo drive is a perfect choice. Thanks to its USB 3.0 connectivity and attractive portable design, this drive is perfect for any laptop. Archagon has included some custom CyberLink software that simplifies the burning process and makes setup a breeze. Blu-ray reader and DVD writer combination. This product features a Panasonic Blu-ray reader and DVD writer combo drive. Perfect for anyone who simply wants to watch their Blu-ray movies, and has no intention of burning Blu-ray. That said, this drive is capable of writing DVD formats at impressive speeds. Sleek aluminum exterior. Being a USB powered unit, this drive is designed with portability in mind. Its attractive and durable premium aluminum casing helps to further its portability. A handful of users claim to have dropped this drive without damaging it at all. Custom CyberLink Media Suite included. This drive is included with CyberLink Media Suite software. It is a custom version that allows for Blu-ray playback across many devices and platforms. Many reviewers found the setup of this drive and software to be incredibly quick and easy. Cannot write Blu-ray discs. While this drive can read Blu-ray discs perfectly fine, it can only write with DVD and CD formats. If you require a writer for Blu-ray discs this product is not for you. 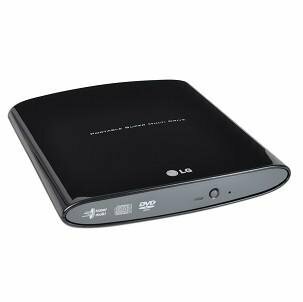 The LG Ergonomic DVD drive provides an efficient and portable DVD drive that won’t break the bank. 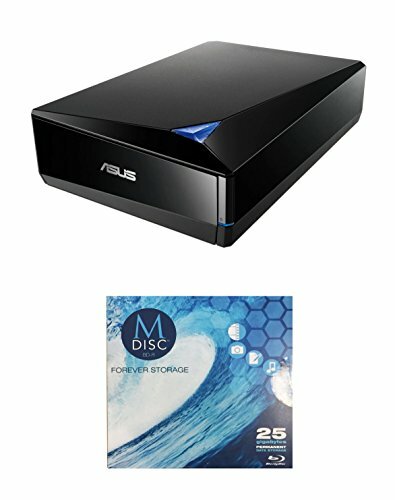 This drive is perfect for anyone who needs a simple drive for DVD reading and writing with no extra features. Powered by USB connection, its 8x writing speed is relatively fast, and with multi-format compatibility this drive is tailored to suit your needs. It has earned our runner-up pick for best value due to its very affordable price with all of the necessary features of a powerful DVD drive. Lightweight and portable design. LG has clearly made portability a key selling point for this DVD drive. Coming in at under one pound in weight, its slim profile means that it is hardly noticeable when tucked away with your laptop in a bag. 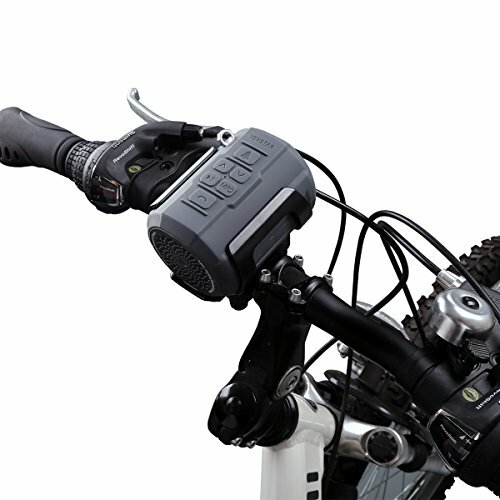 Thanks to its USB powered interface, no external power supply is necessary. Overall, this product is runner-up to our first pick for best value only due to the fact that it cannot read Blu-ray discs. For many however, that simply is not necessary. 8x DVD read/write speeds. For such an inexpensive and USB powered DVD drive, this product is capable of reaching some impressive reading and writing speeds. 8x is quite fast for DVD formats, and can even reach speeds up to 24x when reading and writing CD-R. Reviewers claim that this drive is surprisingly fast considering its inexpensive price. Multi-compatibility. This DVD drive is able to read and write nearly every DVD and CD format, which is surprising for such an inexpensive model. It can be used with both Windows and Mac operating systems, and is powered by a simple USB 2.0 connection. Plastic exterior. Some users have said that the overall construction of this DVD drive feels flimsy. Many note that they would like to see a light metal casing rather than the hard plastic. The inclusion of a DVD drive is not always guaranteed with the ultra-slim profile that most laptops aim to achieve nowadays. Luckily, there are many external options that allow you to read and write DVDs wherever you may go. Items in this category will have a focus on compact design and portability while maintaining reliability during travel. An external optical drive is essential for anyone whose laptop doesn’t have one included. With its attractive ultra-slim design and USB connectivity, ASUS has clearly directed this drive toward laptop owners. However, they do this without compromising too much on performance. Capable of 8x writing speeds on DVD formats, this drive is great for burning discs on-the-go. Included software can be used to even further simplify this process, and even adds a whole new layer of security. In a world where DVD drives are becoming more and more rare in laptops, ASUS has provided an excellent external solution. Cyberlink Power2go bundled software. ASUS has provided Cyberlink Power2go software with the ZenDrive that makes this drive very useful for data backup. It simplifies the disc-burning process while also providing disc encryption for any sensitive information that you are working with. Whether you plan on using the bundled software or not, it is nice to see that ASUS has included it with the drive. Ultra-slim design. This DVD drive is extremely lightweight and portable thanks to its slim design. Its 13mm thick housing is perfect when combined with a thin and light laptop. Overall, many users find the hairline design and ultra-slim profile to be very aesthetically pleasing, regarding that it fits with the style of many laptops. 8x DVD write speed. The ZenDrive can read and write on nearly all DVD and CD formats, including the lifetime-lasting M-DISC. The 8x write speed is quite impressive for such a compact and lightweight USB powered unit. This makes it an incredibly efficient drive for burning discs on-the-go. May be loud during high performance. A few users have claimed that while watching movies or burning a DVD the ZenDrive can become noisier than usual. They have not found a solution to this problem, but have found that it only occurs under high amounts of stress. Blu-ray reading and writing is a feature that is not too common among portable external drives. SEA TECH has provided a powerful Blu-ray drive that comes in a very slim and durable package. With USB 3.0 and M-DISC compatibility, this drive performs quickly and is a great tool for archiving data that will last for lifetimes. If you need a Blu-ray drive to enjoy your high-definition movies or burn some of your own on-the-go, this drive is perfect for you. This product only falls short to our top pick for laptops due to its higher price point. Durable and sleek aluminum casing. This drive features a tough aluminum enclosure that enhances portability. Many reviewers say that its slim design and durable exterior allow them to carry it along with their laptops without worrying about damaging the device. Mac users also note that the overall style of this DVD drive is very similar to most Apple products. Reliable Blu-ray reading and writing at a reasonable cost. With 6x reading and writing speeds on Blu-ray discs, this drive performs very well. Reviewers claim that it burns discs rather quickly, and the video playback is not only very smooth, but quiet as well. USB 3.0 and M-DISC support. The inclusion of a USB 3.0 interface doubles transmission speed when compared with USB 2.0. This coupled with a fast read and write speed makes this drive incredibly efficient and will save you time when burning. Its M-DISC support and time efficiency means that you can archive a large amount of data in a short amount of time. May have sharp edges. One reviewer mentioned that the aluminum casing on this drive has some rather sharp edges. They were not cut but were cautious while handling it. While many desktop computers have an included internal optical drive, some may find that it doesn’t quite meet their needs. An external DVD drive is an affordable solution to this problem. Drives that are specially designed for desktops focus on power and speed, rather than sacrificing performance for a more compact package. These products are perfect for anyone who requires top-notch disc reading and writing capabilities but have no need for portability. At first glance, the ASUS BW-12D1S-U immediately stands out among the competition. Its attractive and sturdy design lets this drive sit alongside your desktop setup without becoming an eyesore. With impressive 12x Blu-ray writing speeds this drive can quickly burn large amounts of data, making it an extremely efficient piece of equipment. Coupled with its USB 3.0 interface and professional backup software, this is one Blu-ray drive that can do it all. Fast 12x Blu-ray writing speed. One of the main benefits that comes with a desktop external drive is a greatly increased writing speed. ASUS was able to pack 12x write speed on Blu-ray discs which is simply unobtainable by USB powered devices. This speed allows this drive to backup 25GB of data in only 11 minutes. Many who bought this product note that it burns DVD and Blu-ray discs extremely fast and is nearly silent during the entire process. Sleek and sturdy design. Sharp angles and a glossy black exterior make this Blu-ray drive one that is a pleasure to the eye. That is a good thing since the unit itself is rather large, and will take up a decent amount of desk space. Many reviewers are quite fond of how sturdy and solid this drive is compared to others. Professional backup software and disc encryption. Power Backup is software that makes the process of backing up and protecting your documents much more simple. With scheduled backups, disc encryption, and flexible storage options, this software is an incredible tool for anyone who plans on utilizing the large storage capacity that Blu-ray discs provide. Very large drive. This Blu-ray drive is suitable for desktops only, as it weighs over a pound and requires its own power supply. Setup instructions are unclear. A few reviewers have claimed that the entire setup process is very difficult due to its unclear instructions. After getting support from ASUS they were able to get it resolved shortly thereafter. For anyone who is looking to read/write nearly all DVD formats, the LG GE24NU40 is definitely a product to consider. 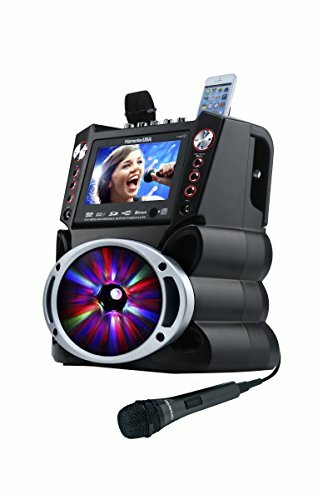 Its large size makes it less portable than others, but the fact that it is USB powered allows for portability if needed. Writing speeds of 24x are very impressive for a USB powered unit, and its multi-compatibility lets you burn using the durable M-DISC format. This drive performs very quietly and even has features that allow for manual eject so that you will never lose your discs. 24x DVD-R writing speed. For a USB powered external DVD drive, this product has proven to be very powerful. With DVD-R writing speeds of 24x, it lets you burn more discs in less time. Many consumers claim that this drive is extremely efficient and is perfect for burning a large quantity of DVDs. Compatible with many disc formats. This drive is compatible with nearly every disc format, including M-DISC. This makes it a great tool for archiving important documents and information, since M-DISC has been proven to outlast all other formats. No additional power source. A common feature among more powerful external DVD drives is the need for a power supply. That is not the case with the LG GE24NU40. This allows for some degree of portability with this drive, despite its larger size. Silent and jamless functionality. 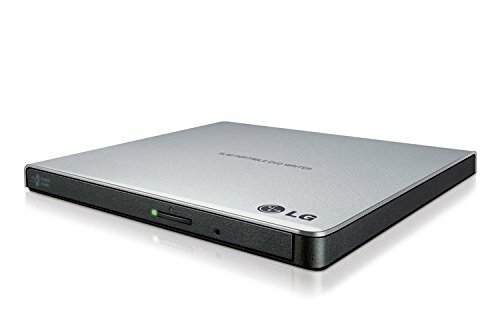 LG has included their Silent Play feature in this DVD drive, allowing it to adjust playback speed in order to perform more quietly. This is one feature that is praised by many consumers that were surprised by just how quietly this drive functions. Also, if anything goes wrong and your disc becomes stuck in the drive, there is an emergency eject function that allows you to manually open the drive. Very large for a USB powered DVD drive. Most USB powered drives are designed with portability in mind. That is not the case with this drive, and potential consumers should consider whether portability is important to them or not. As far as storage capacity and high definition quality are concerned, Blu-ray is by far the best format to use. Blu-ray drives come in a variety of sizes and performance capabilities, making it easy to find one that is perfect for you. Whether you simply need a drive to enjoy your Blu-ray movies at home, or require high-speed reading and writing on-the-go, an external Blu-ray drive makes for an excellent addition to any setup. For anyone that is looking for top-notch Blu-ray reading and writing speeds and has no need for portability, the LG BE16NU50 will prove to be an excellent choice. Achieving 16x writing speed on Blu-ray discs is a milestone that not many other drives are capable of, and coupled with its USB 3.0 interface this drive gets the job done quickly. With added features like Silent Play and even 3D Blu-ray support, this drive is a favorite among many consumers. Super multi compatibility. This drive is capable of reading and writing many different disc formats. These include the standard CD-R, DVD-R, BD-R, and also offers support for BDXL discs. These discs have the highest storage capacity available at 128GB. Many reviewers use this drive to create large backups for family photos and home movies, and loved that they could fit everything on one BDXL disc. 3D Blu-ray support. The ability to provide a 3D Blu-ray viewing experience is something that definitely sets this Blu-ray drive apart from others. With the included software, setting up for 3D movies is simple and quick. Silent Play. A common theme among many reviews of this product is how quietly it performs. This is largely thanks to LG’s Silent Play feature. Silent Play allows the drive to recognize which type of multimedia it is reading and adjust the playback speed accordingly. Fast reading and writing. Being an external drive that has its own power supply, this Blu-ray drive is able to read and write much faster than USB-powered versions. Reaching speeds of 16x while writing BD-R is quite impressive, and can attain speeds up to 48x on other formats. Whether you need to burn many discs or simply want the fastest writing speeds possible, this drive is sure to impress. Requires its own power supply. This Blu-ray drive is not USB powered, making it not ideal for a portable setup. However, the fact that it runs off of its own power supply allows it to perform much better than other drives. Coming in such a lightweight and compact design, the Pioneer BDR-XD05 is among the most portable Blu-ray drives on the market. 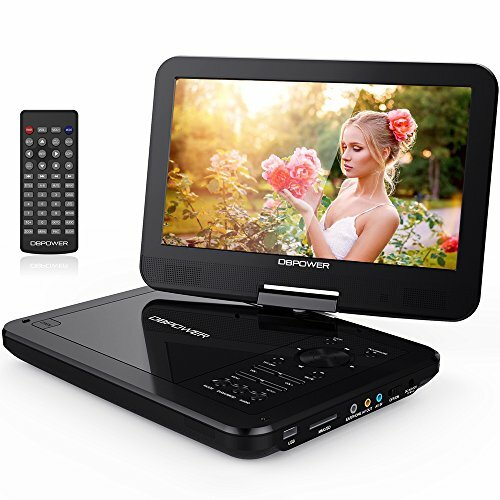 Capable of Blu-ray reading and writing with speeds up to 6x, this product is quite powerful when considering that it is powered completely by USB connection. 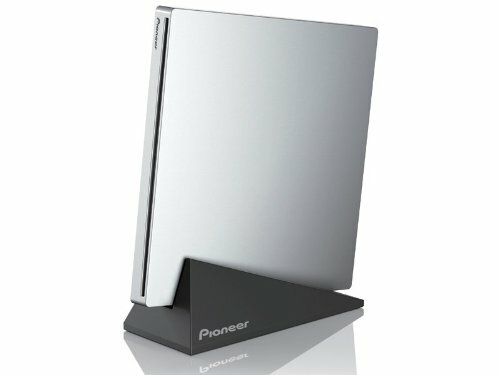 Features such as Auto Quiet, PowerRead, and PureRead2+ have been implemented by Pioneer to give this Blu-ray drive one of the most enjoyable viewing experiences possible. Slim and portable design. This Blu-ray drive is designed with portability in mind. Coming in at 5”x5” and 0.5” thick, this drive is hardly noticeable when carried in any laptop bag or other carrying case. Many reviewers note that this drive is extremely lightweight, adding to its ease of transport. It is a great choice for anyone who is looking for a Blu-ray drive to use on-the-go. PowerRead, PureRead2+, and Auto Quiet features. Pioneer has included three very useful features with this Blu-ray drive that greatly improves the overall user experience. PowerRead helps to read a disc that has fingerprints, scratches, and other imperfections on it. These imperfections can also affect audio, and PureRead2+ helps to prevent skipping by rereading the obstructed data to extract the original music more accurately. Auto Quiet is a feature that will automatically adjust disc rotation speed in order to reduce noise. The combination of these features are what makes this drive great for enjoying movies and music. Fast burning. This drive is capable of writing on nearly any disc format. It provides writing speeds of 6x on Blu-ray discs which is quite good for a USB powered unit. Reviewers that use this drive to write CD-R and DVD-R formats note that speeds are up to par with many internal optical drives. Clamshell design. A handful of reviewers were displeased with the clamshell design of this drive. Rather than having a disc tray that ejects the disc, the entire top opens up which could allow the internals to be more easily damaged. Device is unstable at higher playback speeds. Some users find that when performing at higher speeds this drive can thrash around a bit. It is likely due to its lightweight construction and should be kept in mind before purchasing.